When you adopt internationally, you will find that the rules of adoption in certain countries can change during and after adopting your child. 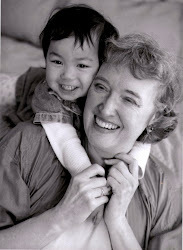 For an example, a year after I adopted my daughter, China closed down single parent adoption. After 50 years of adopting internationally, Korea is now only processing adoptions domestically. As of March 2011, China is again accepting applications from single women. Single women are able to adopt children from a 'special focus program'. The children in this program are identified as special needs or are healthy children 8 years or older. The adoptions from this program are processed more quickly than the now 4 year wait period for finalizing adoption. The age limit of a parent is now restricted to the ages between 30 - 50 years old (for both parents). In the Bay Area, ' Heartsent' and 'BAAS' are agencies I would recommend if you are considering adopting from China. Ethiopia - This country accepts older women applicants and the time frame is shorter than most for finalizing adoption. The children are escorted to the US, rather than adopting parents going to Ethiopia. There are only 7 agencies in the US who process Adoptions from Ethiopia. Russia - Adopting parents make 2 trips to Russia. The time in between trips and the wait time for finalizing the adoption can vary. Haiti - Although single parents to be, men and women are accepted, the regulations now say 'widowed or divorced'. The authorities are in the process of changing the wording to " single, widowed and divorced men and women. You will find that there are some countries who are Hague convention compliant and others who are non-compliant. This can effect the ability to adopt from that country. Guatemala used to be a country which welcomed single parent adoption. At present due to non-compliance, all adoptions have been halted. Adoptions from Kazakhstan have been put on hold. Many of the countries that allow international adoption are often third world countries which have high levels of poverty and/or have experienced war and natural disasters. When taking all of this into consideration it takes time to put into place a coherent and clear infastructure in that country for managing the adoption process. Haiti and Kazakhstan are recent examples of how certain countries are still trying to get the infra-structure in place so that the many children who are in orphanages can find homes and parents to take care of them. As I have mentioned before, the best situation when adopting internationally is to choose an established adoption agency this end in America that has a liason agency in the country from which you wish to adopt. This way you can be assured that everything is legitimate. The political climate of a country, internally and in relationship to America is also something to keep an eye on when you are adopting internationally. Sometimes an adoption can be put on hold due to political unrest in the country or because certain standards in the adoption process have not been met to the satisfaction of America and sometimes to the satisfaction of the other country. Given all these variables, I have found that if you do your homework about the process of adoption for that particular country and find an agency you trust and get to know the liason agency that is being used, then you are well on the way to bringing your child home.